NCR knows that financial institutions and other players in the financial ecosystem have to evolve, adapt and transform to meet increasing consumer expectations, the disruptive impact of technology and burden of regulatory oversight. Today’s consumers define convenience on their own terms, deciding when, where and how they bank and pay. In the omni-channel world, they expect you know them, help them and advise them using relevant data to tailor services to meet their unique needs while enabling the modern, connected retail banking experiences they demand. Our Consumer Experience (CxBanking) framework stands at the intersection of what consumers want and businesses need, whether you are a financial institution, an IAD, a processor, an ISO or a merchant acquirer. If you're accountable to deliver growth, lower costs, manage risk and differentiate the customer experience, our CxBanking hardware, software and services capabilities ensure that NCR is your strategic transformation partner. 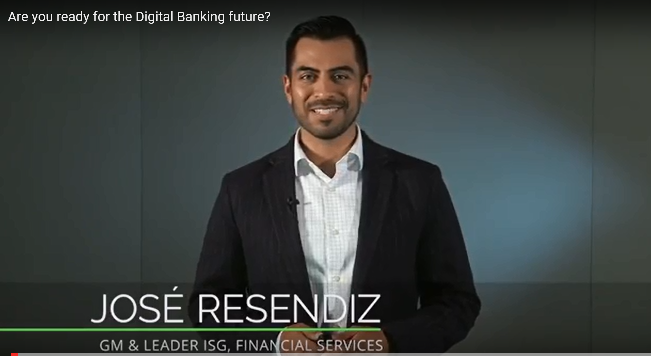 Are you ready for the digital banking future? We're able to inject personality through the machine to our customers.